Hailing from the ashes of Charlotte, USA’s darker side comes forth the blackened death metal trio, Oculum Dei. 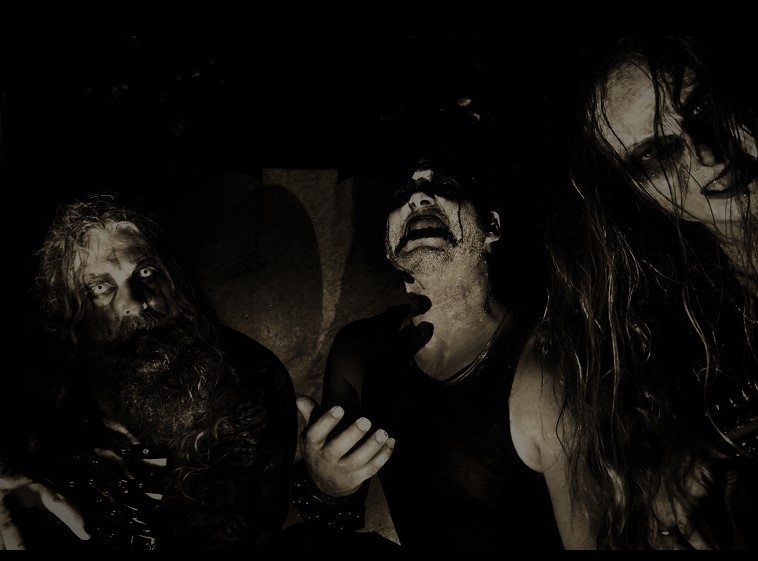 Mixing different elements and influences of black metal the band is set to bring forth a horde of darkness and set the listeners into a realm of deep, chaotic experiences. Formed in 2016 as a studio project, Tenebris (bass/drum and keys programming) was looking to spread filth with a black metal project and quickly recruited Camalus (guitar) and Zebulv (vocals/guitar) to join the fray. Located in the Bible Belt of the southern USA the goal was to take influences from Emperor, Behemoth and Dark Funeral and push this eclectic unholy blasphemy as far as it would go. A team effort behind all the songwriting, Oculum Dei has been working on their first album for almost three years and now the dark demonic war chants of ‘Dreams of Desire and Torment’ are ready to be unleashed on February 22, 2019. Not content to remain as a studio project, the trio started playing live gigs locally and have shared the stage with Carach Angren, Wolfheart and Mors Principum Est. Clad in corpse paint with an elaborate and continuously evolving stage show, Oculum Dei has heavily invested into their extreme visionary madness. The name of the band was inspired by the first song that was written by the band, ‘Blinded by the Gods’ and staying true to the genres of both black and death metal, it’s a haunting, aggressive band, in your face and extremely violent.